door folds down to form the mirrored floor of the space, and allows access to an array of half-inch cubes. scientific illustrations from various books. 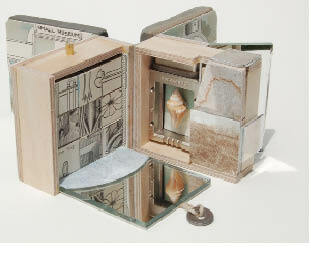 mixed media: various woods and metals, mirrors, Tyvek, etc.